To help you understand the charges against you, the Aizman Law Firm has made available the following selected information, which includes the most frequently asked questions relating to the charge of kidnapping during the commission of a carjacking under California penal code 209.5. The act of kidnapping during the commission of carjacking is a type of “aggravated kidnapping,” as it involves the commission of another crime – carjacking — as the target offense, and the kidnapping is merely a means to achieve that end. Therefore, the punishment for this offense is more serious than for simple kidnapping. A conviction can result in a term of imprisonment for life in prison with the possibility of parole. Additionally, because kidnapping during the commission of a carjacking is considered to be in the category of “violent felonies,” the defendant will also get a “strike” on his/her record under California’s Three Strikes law. However, there are a variety of legal defenses that can be asserted on your behalf to contest a conviction for kidnapping during the commission of carjacking, including but not limited to the defense of consent to being moved, and permission to drive the vehicle. As former prosecutors the the Aizman Law Firm has great insight and expertise into what it takes to successfully defend the charges brought against you. What Is Kidnapping During the Commission of Carjacking Under Penal Code Section 209.5? Under Penal Code section 209.5, kidnapping during the commission of carjacking entails the act kidnapping a person to facilitate the commission of the carjacking1. Penal Code 209(b) provides that the requirements of the offense include that the defendant use force or fear to move the victim a substantial distance. Force or fear means that the defendant either used actual physical force upon the alleged victim to move the victim or physically threatened the victim and/or the victim’s family. The movement must have been more than merely brief and incidental to the commission of the carjacking. The movement must also have increased the risk of physical or psychological harm to the person beyond that necessarily present in the carjacking. In deciding whether the movement was sufficient, courts consider all the circumstances relating to the movement. A man got into a running car at a busy gas station and tried to carjack the car. Once in the car, he realized there was a female passenger sitting in the back seat. He told the passenger to stay in the car or he will shoot her. Once the man drove away far enough from the gas station where he knew he was not being pursued, he pulled over in a secluded area and ordered the passenger to get out of the car. The passenger got out and was able to safely return home. The man could be charged with kidnapping during the commission of carjacking because he drove off with the woman still in the car and threatened to shoot her if she got out. Furthermore, because he moved her from a busy gas station to a secluded area, he placed her in greater danger of physical harm beyond that necessarily present in the carjacking, because while in seclusion, he could have injured or killed her without any witnesses or police enforcement. How Does The Prosecutor Prove Kidnapping During the Commission of Carjacking? The defendant did not actually and reasonably believe that the other person consented to the movement (This element is only applicable when there is an issue of reasonable belief in consent). whether the movement of the victim helped the defendant avoid being caught. Who Can Be Charged With Kidnapping During the Commission of Carjacking? A defendant who has moved the victim beyond what is merely incidental to the carjacking can be charged with the crime. Additionally, to be charged, the defendant had to have moved the victim a substantial distance from the area of the carjacking. 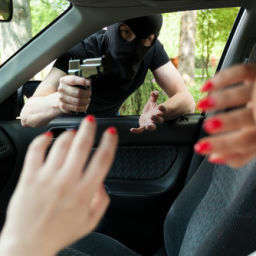 Even if the defendant did not succeed at completing the crime of carjacking, he/she can still be charged with the lesser offense of attempted carjacking and/or attempted kidnapping. How Can I Fight Kidnapping During the Commission of A Carjacking Charges? Permission to Drive the Car: If the victim allowed you to drive his/her car, you are not guilty of kidnapping during the commission of carjacking. Good Faith Belief in Consent: If the defendant had a reasonable belief that the victim consented to the movement, then the defendant is not guilty of the offense. Consent: If the victim actually consented to the movement, then the defendant is not guilty of kidnapping during the commission of carjacking. The defendant is not guilty of the offense if the other person “consented” to go with the defendant. The other person consented if he/she (1) freely and voluntarily agreed to go with or be moved by the defendant, (2) was aware of the movement, and (3) had sufficient maturity and understanding to choose to go with the defendant. The prosecutor has the burden of proving beyond a reasonable doubt that the other person did not consent to go with the defendant. If the prosecutor has not met this burden, the defendant will not be guilty of this crime. “Consent” may be withdrawn. If, at first, a person agreed to go with the defendant, the person’s consent ended if the person changed his or her mind and no longer freely and voluntarily agreed to go with or be moved by the defendant. The defendant is guilty of the offense if after the other person withdrew consent, the defendant committed the crime. Insufficient movement: If the movement was slight and/or trivial, the defendant’s act will not meet the “substantial movement” requirement for the offense. A carjacker drove only a trivial distance from a gas station where he tried to carjack a car with a victim still inside the car. When the carjacker drove from one side of the gas station to the corner of a busy intersection, the car stopped, as it completely ran out of gas. The carjacker may use the defense that the movement was so slight, that it does not meet the “substantial movement” requirement for the offense. In this situation, the defendant may still be charged with a lesser offense of attempted carjacking and/or kidnapping, because he had the specific intent to complete the offense and had the gas not ran out, he would have been able to complete the offense. 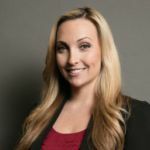 What Are The Penalties, Punishment And Sentencing Guidelines For Kidnapping During the Commission of Carjacking?